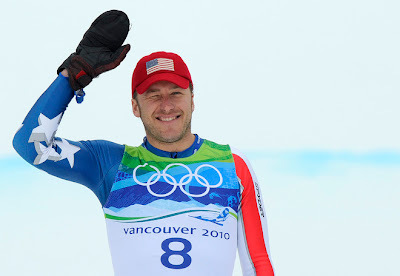 Bode Miller captured the bronze medal in the men's downhill at the Vancouver Olympics Monday. With the bronze, the 32 year old Miller becomes the most decorated American Olympic Alpine skier of all time with three medals. It's great that these accolades are coming this year after he actually considered retiring from the sport just six months ago. Miller is a gifted athlete who has certainly experienced the ups and downs of a long career. We're glad you stayed around, Bode!